We solicit your support in this continuing effort to find unique and fun ways to teach engineering principles in a manner that both educates and hopefully ignites a spark of excitement in youth from Richmond to Petersburg and all the surrounding communities that may lead these students to pursue the study of engineering, science, math or technology. RMEP is an exemplary program of collaborative efforts that bring together multiple organizations, industries and academic institutions with the passion, experience, and knowledge to set strategic directions, establish effective programs and sustain results in its effort to reach these important objectives. Your contribution will help turn ideas into reality and prepare the next generation of scientist, engineers, mathematicians, and technology experts. We have consistently operated our program with tight fiscal responsibility and controls. We offer five different sponsorship levels that allow the community to show their commitment to our mission. 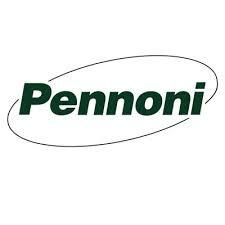 · Recognition of sponsor at our Family Orientation Program and Closing Session. · Recognition of sponsor on the RMEP website, with a link to the sponsor’s website. · Sponsor invited to participate in our mentoring program which provides networking opportunities for the sponsor and participants. 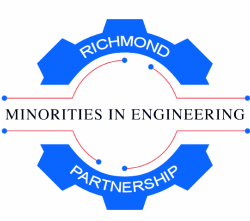 · Sponsor granted the right to display Richmond Minorities in Engineering Partnership logo on its website, letterhead, email signature block and newsletters. · Place the sponsor logo on Richmond RMEP letterhead and promotional brochures. · Dissemination of RMEP media release highlighting the features and importance of the sponsorship agreement. · Publish a feature article about the sponsor and its sponsorship of the Summer Engineering Institute program in two RMEP newsletters. · Design and production of banner to be displayed at relevant events conducted by RMEP. · Invitation to sponsor and/or to speak at a selected RMEP event annually. · Sponsor granted the right to display RMEP logo on its website, letterhead, email signature block and newsletters. · Place the sponsor logo on RMEP letterhead and promotional brochures. · Recognition of sponsor at our Family Orientation Program. *Please allow 24 hours for phone calls to be returned. *This is the quickest form of communication.